In 1828, Edinburgh was a bustling, prosperous city. It swelled during the harvest, with scores of immigrants and laborers arriving in search of seasonal employment and housing. Old Town’s winding cobblestone streets were thickly lined with open markets and bustling with the noises of industrial activity coming from paper mills, tanneries, and saltworks. The working class and poor clustered into tenement buildings and rented out any extra space for cash to travelers and itinerant workers. Meanwhile, the city’s New Town, designed and built in the 18th century, boasted gleaming, ordered streets, stately Georgian homes, and lives of comfort and wealth for the city’s well-to-do. Edinburgh also boasted a relatively new industry that was experiencing a boom of success, money and renown—its schools of anatomy were thriving. As the field of medicine became increasingly modernized and professionalized throughout the 1700s, hundreds of would-be doctors, surgeons, and anatomists flocked to the University of Edinburgh’s courses, which for three generations were led by the anatomists of the Munro family, a professorship passed from father to son, to his son. But while the first and second Munros were brilliant scientists, the third Alexander Munro was lackluster and entitled. The majority of the University’s enrolled students, hundreds each year, simply did not attend his lectures and instead fulfilled their credits through private anatomy courses. Competition among these private providers was intense, with no fewer than six schools in operation in the 1820s in the area of the city known as Surgeons’ Square. One such school was run by Dr. Robert Knox, a brash and ambitious anatomist who had begun his career in the military hospitals of the Napoleonic Wars and in South Africa. Knox returned to Edinburgh in 1822 and, by 1826, was the charismatic and ambitious leader of a thriving school that took on more students than his competitors combined and boasted three assistants, including Dr. William Ferguson. Knox, like the other anatomists and lecturers of his day, needed a constant supply of cadavers for purposes of demonstration and practice for his students. Carefully preserved and methodically dissected throughout the course of a three-month class, one cadaver could serve as the subject of a full week of study. Knox’s style was showy and entertaining; he dressed at the height of fashion and strove to make his lectures engaging and surprising. 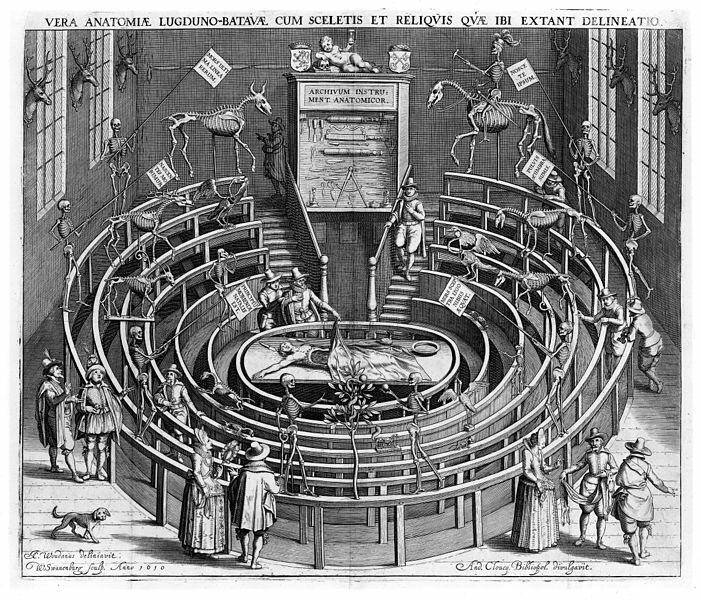 Dissecting theaters were circular, with steeply raked seating all around, enabling viewers to see the central subject—the cadaver, brought back to life (so to speak) in vivid detail by the flamboyant Dr. Knox. With so many schools operating in stiff competition, demand for fresh bodies was intense. There were few legal avenues for obtaining subjects; Scottish law permitted only the bodies of those who had died in prison, committed suicide, or orphans be used for medical research, a limited supply. The practice of grave-digging arose in response, aided by a complicated legal situation: as corpses were not considered anyone’s property, it was technically not illegal to sell a corpse. It was, however, illegal to disturb a gravesite or to steal property from the deceased. By the 1820s, graveyards often sported watchtowers, where guards could keep an eye out for illegal activity, and some families who had the additional funds opted to use a mortsafe, an iron cage that protected an interred coffin. Grave-diggers, also known as resurrectionists, most often found success by robbing the graves of the poor, as they were less likely to be guarded or protected. The medical profession, in its quest for knowledge and success, found itself complicit—and sometimes an eager partner—in these illicit activities. I n this atmosphere of mounting greed and increasing oversight of graveyards, in November of 1827, William Burke and William Hare discovered the body of Hare’s lodger, Donald. Donald, an older man, was a retired soldier who had been ill and apparently died of natural causes. As corpses were no one’s property, selling his body to the school of Dr. Knox was not a crime. But what happened next undoubtedly was. Burke and Hare were laborers, both immigrants to Scotland from Ireland, who lived near one another in the tenements of Tanner’s Close, a section of Old Town, and had struck up a friendship. After netting £7.10s for Donald’s body, the pair graduated next to murder. While their own accounts of the crimes differ in sequence and the historical record is unclear, Burke and Hare murdered no fewer than sixteen people over the course of about ten months—three men, twelve women, and one child—before they were apprehended in November of 1828. The details of their crimes are dark and grim; they targeted mainly transient, poorer members of the lower class with whom Burke and Hare interacted and considered less likely to be missed. They suffocated their victims and sold the bodies to Dr. Knox’s anatomy school. The term burking became synonymous in Edinburgh with murder by suffocation or to commit an anatomy murder. 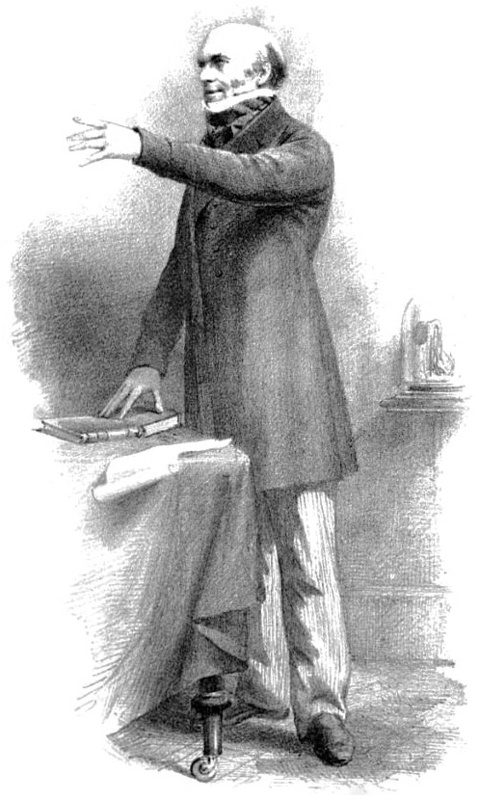 The story of Burke and Hare quickly caught on in the popular press, and Knox was vilified for his role in the murders. Though Burke’s statement to the police officially declared that Knox never encouraged or had knowledge of the murders, there were many who believed that the doctor was, at best, negligent, and at worst, the mastermind behind the crimes. Editorials demanded that he be tried; a crowd burned him in effigy outside his home. He was gradually excluded from the University and left Edinburgh in 1842; his notoriety never completely faded, though he continued to travel and lecture for the remainder of his life. 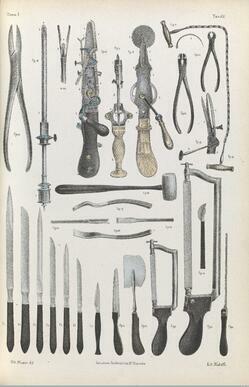 He maintained a medical practice in London until his death in 1862. Several other anatomy murders helped garner public support for reform, including the “London Burkers,” who murdered three people in 1831. The Anatomy Act of 1832 regulated the practice of anatomy, requiring licensed positions that oversaw all bodies being dissected at a particular school or location, and allowed doctors and anatomists greater ability to access unclaimed bodies, especially at prisons and work houses, while still allowing the general populace to donate loved ones’ remains for the purposes of medical research. With a greater supply and increased scrutiny, cases of anatomy murders and the practice of grave-robbing faded away. But while the case of Burke and Hare is a product of this specific historical moment—the quirks of the legal situation in early 19th-century United Kingdom, the transient urban population of Edinburgh and small police force, the unusual demand for cadavers brought about by a boom in medical research and potential profits—in their opera, composer Julian Grant and librettist Mark Campbell tease out questions of morality and meaning that extend to the present day: How much is a life worth? And who is empowered to decide? For Burke and Hare, workingclass and struggling to get by, right and wrong have little bearing on the practicalities of life. It is Hare who first thinks up the money-making scheme, surveying the drunks and drifters at their local pub with an appraiser’s eye. “Immoral?” Hare scoffs when Burke objects. “We’re only putting one foot / Where the other already is: / In the grave.” Cadavers mean food on the table, fine drink, a better life; it doesn’t much matter who they are. But Burke can’t shake his conscience when he catches glimpses of their humanity—the young beggar who struggles, the mother who calls out for her son as she takes her last breath. Meanwhile, Dr. Knox is the embodiment of a medical establishment singularly focused on the pursuit of knowledge— at any human cost. “Knowledge is the wing wherewith we fly to heaven,” he sings, quoting Shakespeare’s Henry VI, Part II. “We must pursue knowledge. Above all.” When his assistant Dr. Ferguson voices alarm about the bodies’ provenance, Knox dismisses the concerns. “We require cadavers,” he tells Ferguson. “These men supply cadavers. What more do we need to know?” For Knox, their research serves the greater good and supersedes all. Profit, status and success are also at play; when Ferguson threatens to resign, Knox uses his reputation as leverage. “Think— think!—of your career, / All that you could lose, / All that you have worked so hard for,” he sings. Faced with the prospect of social and financial ruin, Ferguson remains silent. Much like in life, ju stice was elusive and incomplete. Hare turned on his associate, receiving immunity for a full confession; his wife, Margaret, also avoided prosecution as part of the deal. Hare was eventually released and left Edinburgh for the city of Dumfries, but was recognized on the journey; when he arrived, an angry mob had gathered and he was driven from town and not seen again. Burke and his lover, Helen McDougal, were tried for the murder of Madge Docherty, the final victim. Burke was sentenced to hang, but McDougal’s verdict came back not proven. After her release, she too was pursued by a mob and fled Edinburgh; the remainder of her life is lost to historical record. Burke made a full confession after his sentence, placing much of the blame for the murders on Hare, and was hanged in early 1829 before a crowd of 25,000. In a dark twist of justice, his body was dissected by Dr. Munro (the third) at the University of Edinburgh; his skeleton remains on display at the Anatomical Museum of the Edinburgh Medical School, while his death mask and a book bound using his skin are on view at Surgeons’ Hall Museum. In the end, Hare paid with his freedom; Knox with his career; Burke with his life. The victims netted about ten pounds each. Burke & Hare runs NOV 8-12 at The Cyclorama. 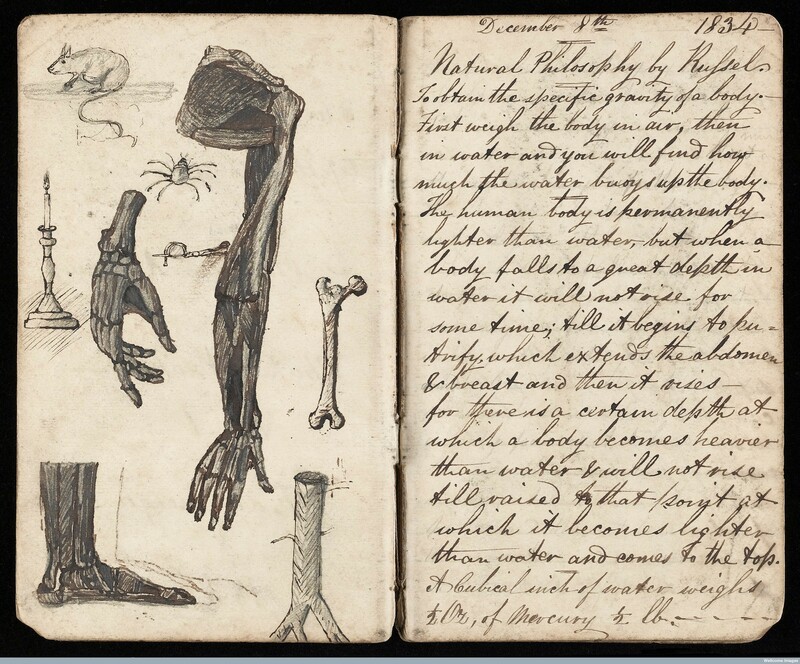 Images (from top to bottom): Notes and sketches by Dr. Thomas Graham taken during a lecture by John Scott Russell on Natural Philosophy in 1834 in Edinburgh, Wellcome Library, London; Robert Knox, sketch published in A Sketch of the Life and Writings of Robert Knox the Anatomist, 1870; The anatomical theatre of the University of Leiden, early 17th century. 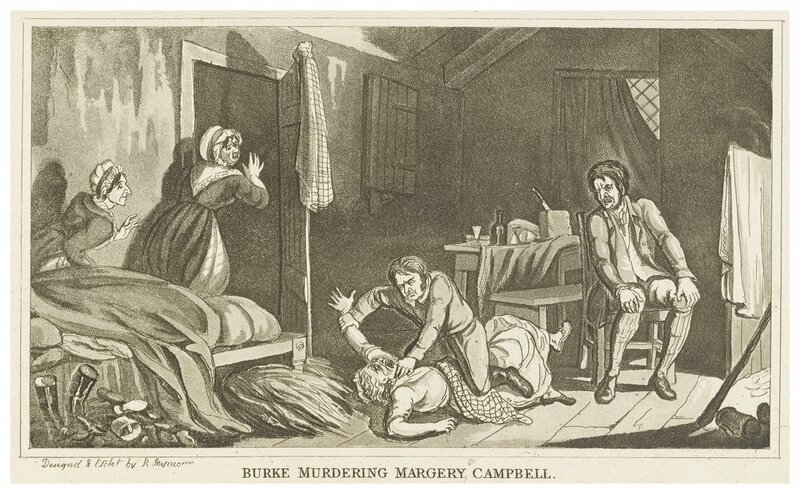 Contemporary engraving; Stylized etching of Burke murdering Margery Campbell by Robert Seymour, 1828; Surgical instruments,1841, Wellcome Library, London.